WD has announced the My Book Live home network drive, promising consumer the 'the fastest storage of, and access to, their content among consumer-grade network drives'. 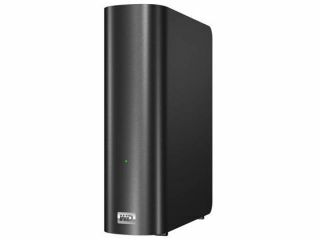 The Western Digital My Book Live home network drive range offers network attached storage that consumers can use to store anything from movies and music to photos. "WD has leveraged the latest processor technology to deliver transfer speeds up to 100 MBps, more than triple the speed of traditional USB 2.0 drives and at least double the speeds of other network drives in its class," states WD's release. "My Book Live home network drive's built-in media server makes it a fast, simple solution for users who wish to view videos, music and images on any Mac or PC connected to the home network and stream digital media to a television set through a DLNA-certified multimedia device." The drives offer built in DLNA media server, automatic back-up with WD SmartWare software for Windows and gigabyte Ethernet. "Network attached storage presents tremendous opportunity for families wishing to centralise all of their digital content and enjoy it on computers, TVs and smartphones around their home and beyond," said Dale Pistilli, vice president of marketing for WD's branded products group. "Our consumer research tells us that consumers need a simple way to set up a one-stop shop for their digital media. "WD's My Book Live home network drive makes it easy for anyone to enjoy the benefits of network storage and delivers blazing read speeds to boot."